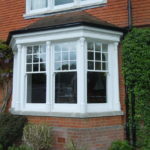 Here at Allwood Sash we can supply & fit the full glazing of new traditional sash windows, only in solid hard wood and made to measure, into your original box sash frame. In doing so helping to increase the thermal performance and effectiveness of the windows that also helps to reduce noise pollution. 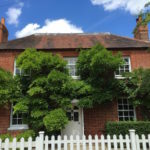 This will help maintain the traditional character, look and beauty of the property. 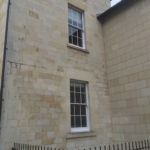 Replacing the sashes without replacing the boxes is a highly cost effective way to repair and replace your windows as the original box frames are usually less worn than the sashes that fit into them. 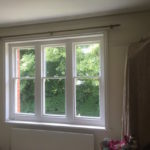 This is also much quicker & cheaper than replacing the entire window, whilst helping to meet the needs of local Building Control and Planning requirements. 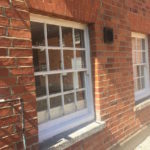 Serving the Warfield area, we put in place a great deal of effort to ensure the new double glazed sashes look like the originals in terms of style, pane configuration and matching any other key details such as the glazing bars. 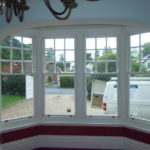 We strip back the sash box frames to wood, rid the frame of any rot and replace the sills if required. Where possible the original sash pulley wheels are freed up of paint that stops them from running freely then oiled. If the pulleys can’t be restored then we supply & fit new ones in a variety of finishes. All of our new sashes come draught seal serviced keeping the heat inside your home whilst reducing the noise from outside.On every job we undertake one thing you can be guaranteed of is our level of clear communication and the attentive, detailed manner to which we work.